Passengers aboard the Carnival Liberty cruise ship were ashore in St. Thomas on Monday following a fire on board. 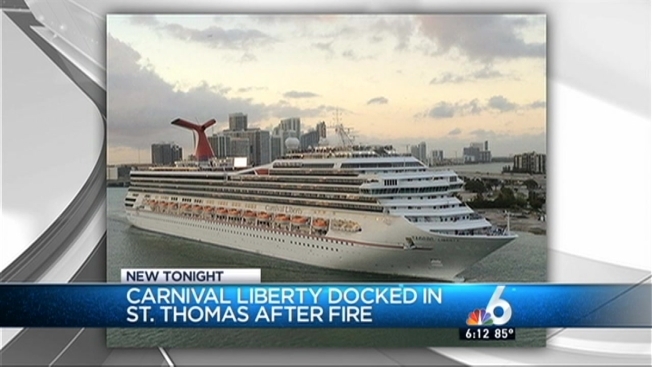 Carnival Cruise Line said while Carnival Liberty was docked in St. Thomas, there was a fire in the ship's engine room. The fire has been fully extinguished. The U.S. Coast Guard assisted in the firefighting operation. There's no word on what started the fire or how much damage was caused. Carnival Liberty was on the second day of a seven-day Caribbean cruise that departed from San Juan on Sunday. The cruise ship was carrying 3,346 passengers and 1,150 crew members.